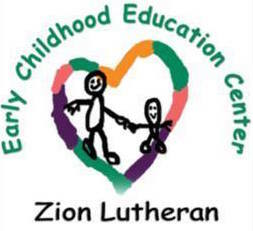 Tiny Toes Music currently teaches Music Together at Zion Lutheran Early Childhood Center in Hinsdale and Lutheran Day Nursery in Chicago. Classes are available for children ages 18 months-four. 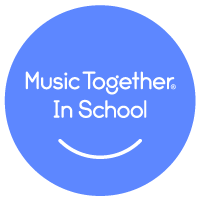 What does Music Together In School look like? 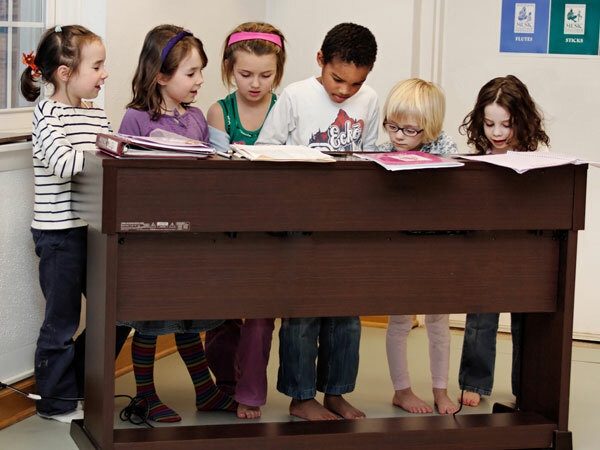 Children participate in weekly 30 minute music and movement classes taught by Music Together specialists from Tiny Toes Music in cooperation with classroom teachers at your child's school. The combination and types of activities are research based, so they support children's developing music skills, even after the activities evolve into creative musical play and a great deal of genuine, silly, fun! Students even get materials to take home and share with their parents to strengthen the home-school connection. What are the benefits of Music Together At School? Provides the opportunity to learn music in developmentally appropriate ways. Supports cognitive, emotional, social, and physical development. Gives parents enjoyable and significant ways to relate to their children. Enhances happiness and well-being in the school community. In addition, research by Music Together Worldwide reports that four-year-olds in Music Together Preschool classrooms made “significantly greater progress in the cognitive, language, and physical developmental domains than did four-year-olds in classrooms that did not participate in the program.” Music is extended into language, math, art, and social development activities and woven into the curriculum. Music Together In School teachers incorporate all the musical fun, creativity, and quality you have come to expect from Music Together into a program meets the needs of preschoolers who are starting to crave structure, but still want to play. It prepares children for formal music instruction and school-based music education and gives them a foundation for a lifetime of music enjoyment. Children will build life skills like leadership, decision-making, and teamwork, and build their music skills at the same time. It is a program that you, your child, and your child's teachers, will love! How does the In School program work with other Music Together programs? Music Together supports the development of your whole family! Your preschooler can attend a Music Together Preschool, where they will experience the joy of music learning with their classroom teachers and friends. Your younger child or infant can attend a Mixed-Ages family class with you, which will give you the opportunity to enjoy your child and discover your own music making! You and your children will thrive on the musical challenges in class, and will love "teaching" each other the new activities you've learned when you're together. Your whole family can share the music with the songbook and CD at home. What a great way to bond with your children. Contact us or click the images below for more information.